Hi there! Hopefully you’re having an awesome day! This is Brent. 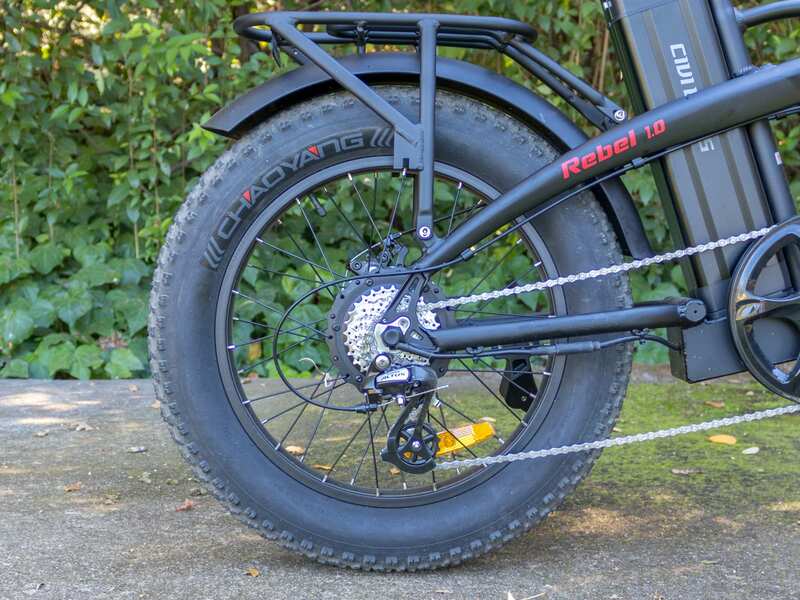 Today I’m reviewing the Rebel from CIVI BIKES, a folding fat tire electric bike with a stock price of $1,299 and the option to add fenders, a front basket and a rear rack for an additional $150.00. 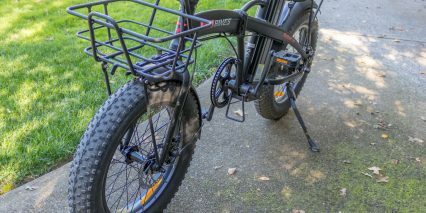 This is the second bike from CIVI BIKES I’ve been able to review, the first being the Predator model. 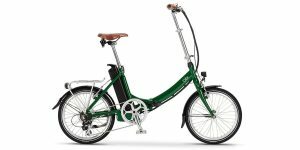 While the Rebel is a folding electric bike, it’s still quite large with an overall unfolded length of 68.5 inches and a width of 24.75 inches. 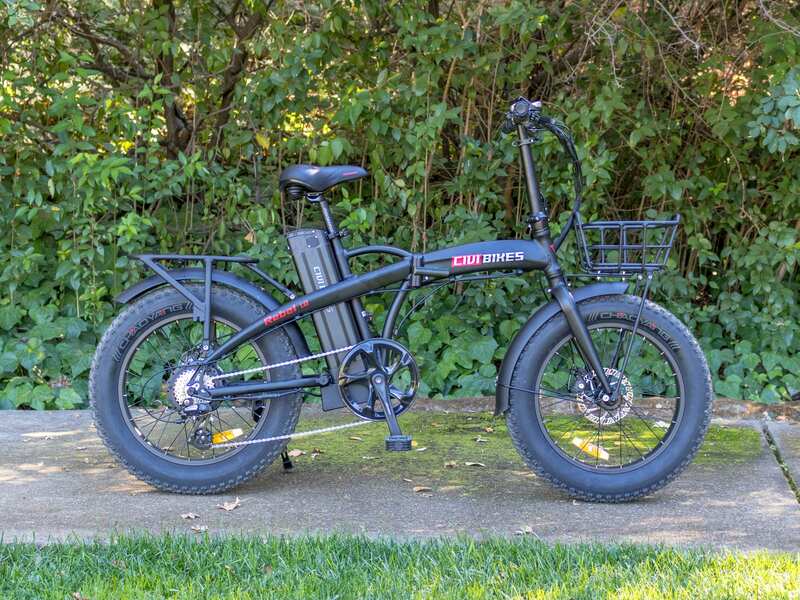 It feels like the Rebel is geared towards utility use and has a powerful 500 watt geared hub motor that gets a mechanical advantage from the smaller 20″ wheel size, a higher than average battery capacity of 624 watt hours, mechanical disc brakes in the front and rear, a Shimano Altus derailleur, and sturdy locking mechanisms to keep everything in place when it’s unfolded and being ridden. The Rebel only comes in one frame size but there are two different colors: 17 inches and Pearl White or Matte Black, respectively. The single frame size does limit who can comfortably fit this bike, though the telescoping stem does allow for a fair amount of flexibility for reach, and the saddle does drop all the down to the seat post clamp; these two features should help accommodate extra tall and extra short riders and hopefully can compensate a bit for the single frame size. 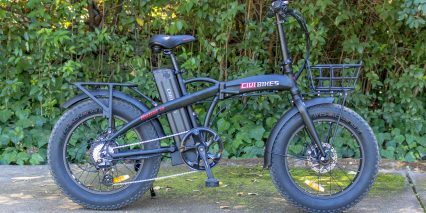 Right now, CIVI BIKES is a direct-order only company, but they do plan to add at least 50 retailers across the United States in the near future. 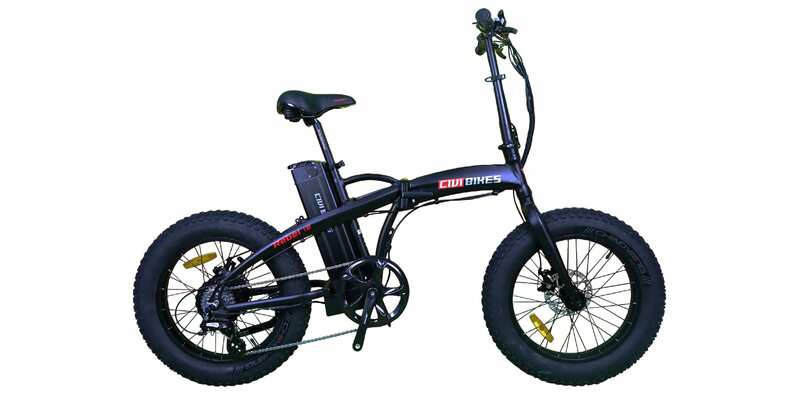 CIVI BIKES is also a relatively new company based in Ontario, California, they’ve been producing electric bikes in China for over a decade and have leaned on that experience to establish a direct-order brand in the United States. Currently, CIVI BIKES only ships to the United States, Canada and Germany, which limits who can own one of these bikes, but at least shipping is free! That’s a huge bonus, as oftentimes direct-order only companies will have low pricing on their bikes, but then charge several hundred dollars to ship. Being a direct-order only comes with one huge pro and a couple of potential cons, all of which we’ve talked about in detail in a recent video on the dangers of buying direct-order. The biggest pro, usually, is the savings in cost. 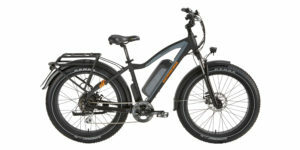 Electric bikes purchased from direct-order only companies are, generally speaking, quite a bit less than their equivalent counterparts in retail shops. This makes sense given direct-order only companies are able to save big by eliminating brick-and-mortar shops, fewer employees and cutting other types of overhead. However, there are some risks that come along with buying direct-order only as well. 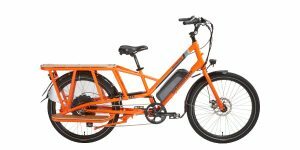 First of all, buying direct-order only means I have to assemble the bike myself, which can take anywhere from 15 minutes to a couple of hours depending on fit and finish and overall difficulty of assembly. For the Rebel, I spent about an hour and half. Most of that time was spent figuring out how to fit together the front basket, rear rack, and fenders, but it only took me about 15 minutes to get the bike itself assembled. Overall I’d rank this bike as being moderately difficult and moderately time consuming to assemble. 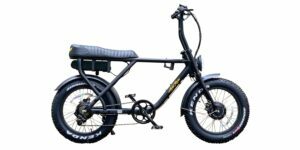 Another potential con is the overall fit and finish of the electric bike. Sometimes I’ve found the pieces don’t fit quite right, the frame might have scratches, parts can be damaged and occasionally I’ve even seen different components on the actual bike compared to what was advertised on the company website. With the Rebel, that was only partially the case, with the biggest issue being the fit of the rear rack, which feels as though it’s a bit off. I struggled to get it to fit correctly and was unable to secure one attachment point altogether. With assistance this would have been less of an issue, but by myself I just wasn’t able to do it. 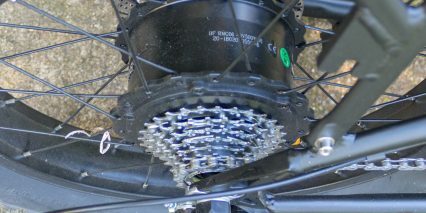 Aside from that, however, everything else fit nicely and there was no damage to the bike or any of its components. Before I dive deeper into this review, I want to digress a bit to give some assembly tips. 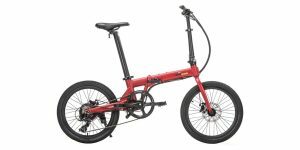 First, and thankfully, CIVI BIKES does have assembly video tutorials on their website, which is how I managed to figure out what went where. Where these videos fall short, however, is specifying order of assembly. So, my bike came with the optional fenders, rear rack and front basket, so let’s talk about those. Both the front basket and fenders share attachment points, and this is the order and way I believe they should be installed: Once the seat post and handlebars are attached, flip the bike over and mount the front wheel. Orient the washers, but don’t secure the wheel with the nuts yet. Install the front fender (as well as the support bracket for the front fender) and support arms on the front basket and place the end of the arms with the larger hole over the skewer and then secure everything with the nuts. Now, flip the bike over secure the front basket and front fender (which should at this point be one piece) into the fork. Woohoo! Now, hopefully you won’t have to take off the front basket to install the fender like I did. :) Installing the rear rack is far more straightforward, though this is where I ran into the issue of the tolerances being too wide and not being able to fit one of the arms onto the frame. Again, if you need any additional clarification, please refer to the video review and/or to the video tutorials from CIVI BIKES for the rear rack and fender kit and front basket. Driving this bike to a top speed of roughly 20 mph is a Bafang 50 watt geared hub motor in the rear wheel. This motor has 80 Newton meters of torque and a fair amount of overall power. 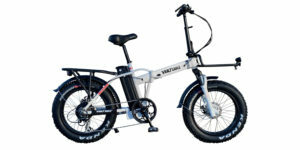 The top throttle only and pedal assist speed of 20 mph keeps the Rebel as a class 2 electric bike, making it legal to ride in more areas compared to class 3 and class 4 electric bikes. 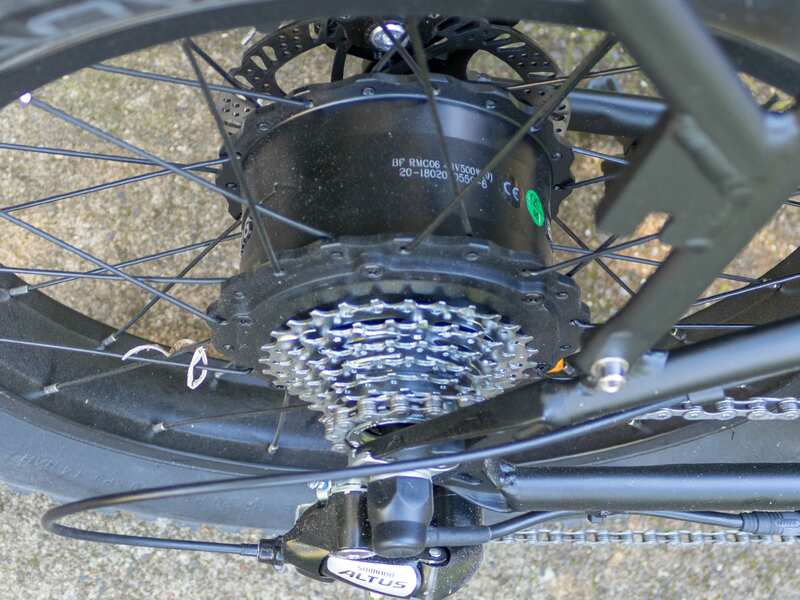 Still, it’s a good idea to check state and local laws before hitting the open roads because some places (unfortunately) don’t allow electric bikes with throttles to be ridden… period. 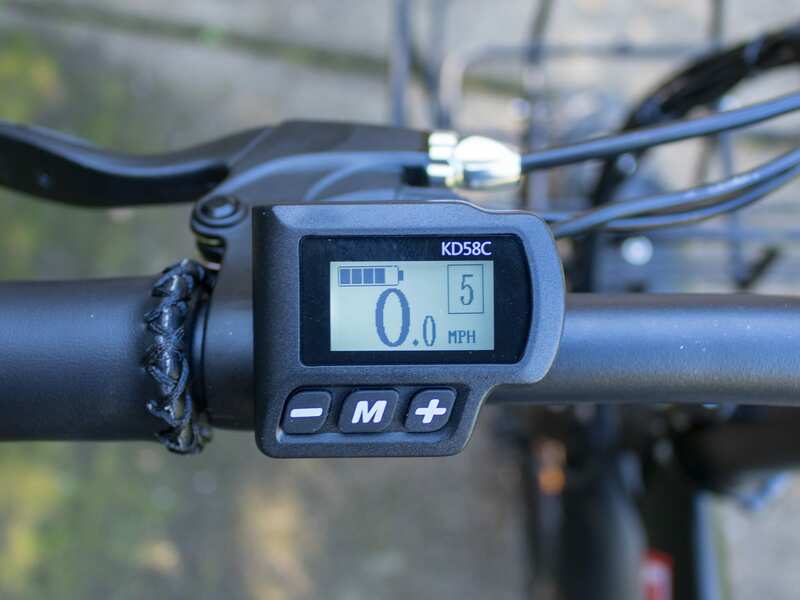 The Rebel has an internal, sealed 12-magnet cadence sensor, and although this is a higher resolution sensor compared to 6 and 8 magnet sensors, there’s still a delay from the time I start and stop pedaling and the time the motor spits out power and shuts off, respectively. This is pretty common for cadence sensors, which is why I prefer torque sensors, although those typically cost more. This lag is especially pronounced in higher gears at slow speeds where it takes longer for the cranks revolve and trigger the sensor. Thankfully, the throttle is live at 0 mph on this bike so I can override the cadence sensor with a twist of my wrist. I can also manually shut off the motor if I need to by slightly depressing either brake lever, thereby activating the motor inhibitors, a great safety that also helps to ensure the shortest possible stopping distance. 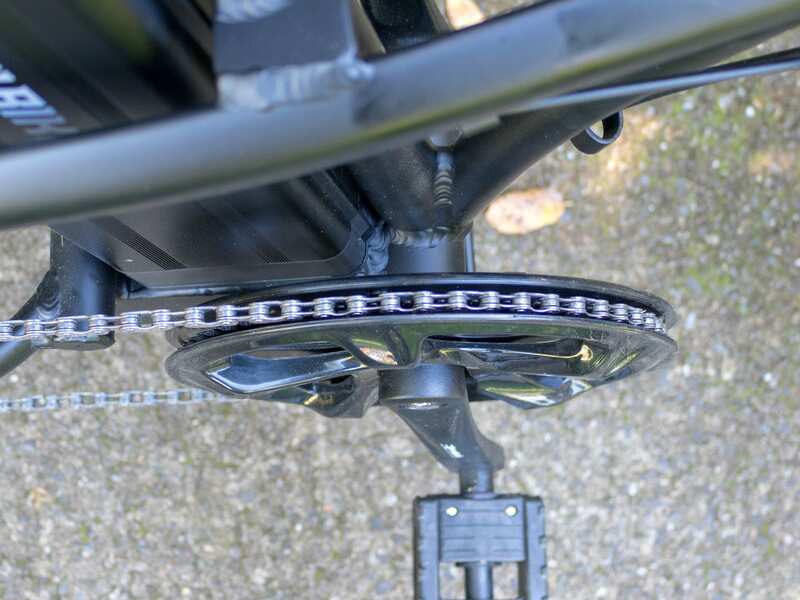 Note that the motor and disc brakes on this ebike benefit greatly from a mechanical advantage over the smaller wheel size. 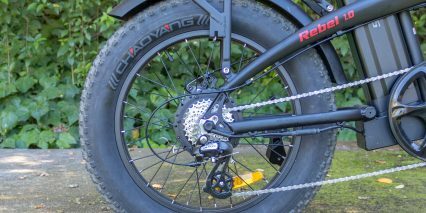 Big wheels take more effort to turn for hub motors, because they do not send power through the geared drivetrain like a mid-motor… overall, the bike feels very powerful and stopped well. 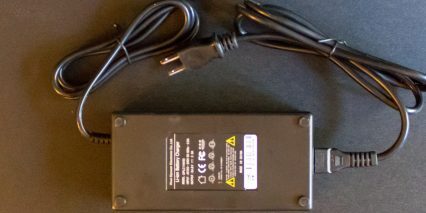 This is important, given the heavier build and heavier battery pack. 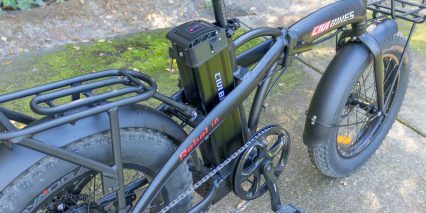 Powering the Rebel and the compact LCD display unit is a 48 volt, 624 watt hour locking, removable seat-tube mounted Lithium-ion battery pack. 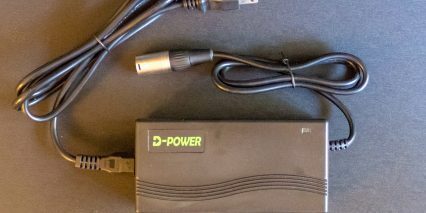 The charging port and key hole are located on the top of the battery so there’s little chance of snagging the power cord while charing the battery on the frame. 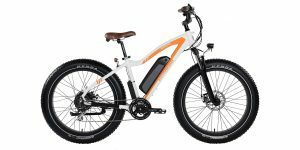 The battery can also be charged separately from the bike by removing the seat post and saddle to clear a path, and then removing the battery. 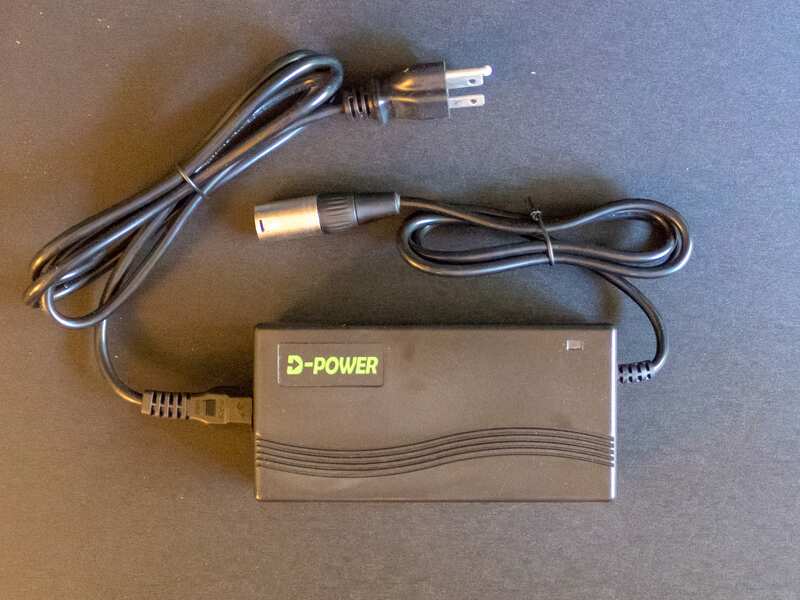 It’s an extra step to remove the seat each time you want to take off the battery, but it does allow for it to be charged separately and just as importantly, allows the battery to be more easily stored in a cool dry location, just the kind of conditions batteries like best. It should be noted however that the key must remain in the key hole to keep the battery on. On silverfish style batteries like this that are mounted behind the seat tube, there’s potential for snagging the key while pedaling. This is a problem I have most likely due to my big ol’ hobbit feet. It can also result in damaging the key, or even the battery, rendering the bike inoperable, so just watch out for that and maybe don’t put all of your other keys on a big keychain attached to the key! The Rebel comes with two keys, so you could just leave one in the battery at all times… and then take it off and be careful not to lose it, or use a Caribbean, when parking at public racks. 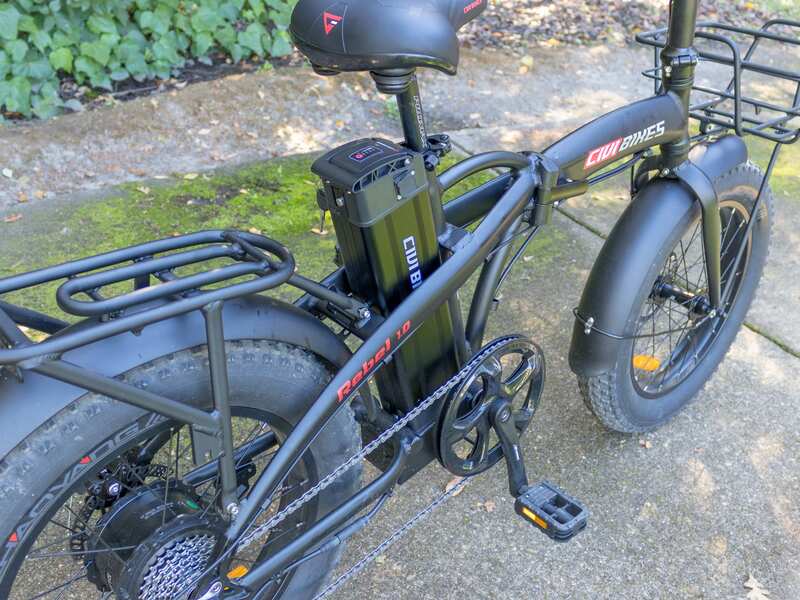 Given that this is the same motor and same battery watt hours as the Predator full sized electric fat bike, I gave it the same estimated range of 15 to 30 miles, depending largely on rider specifics like weight, how heavy a rider is on the throttle, what level of pedal assist is being used and the terrain. 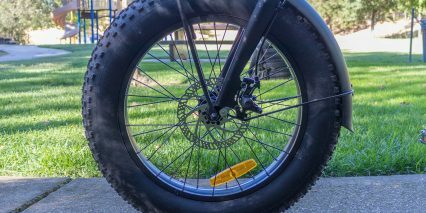 Another pretty big variable here for the range is going to be the fat tires. Being that they’re 20 inches by 4 inches wide, there’s a lot of surface area even when they’re fully pressurized to 20 PSI. 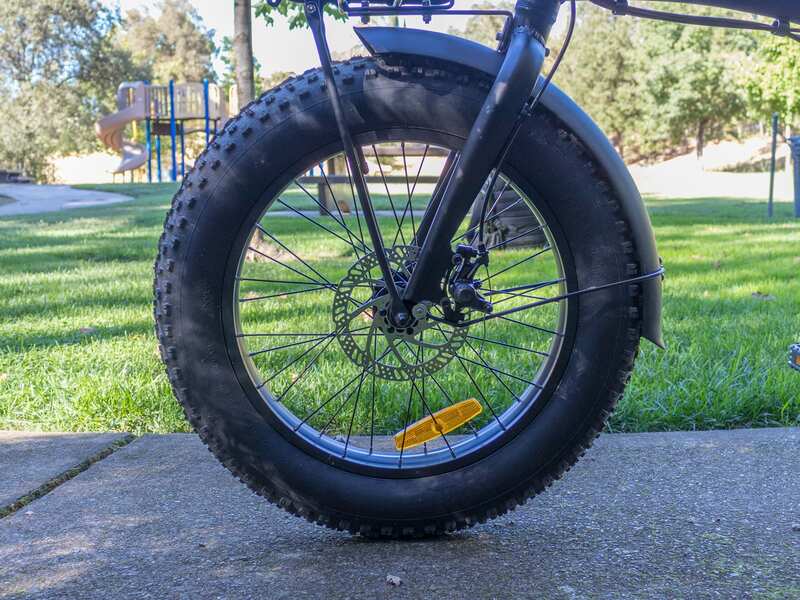 If I were to air them down to 5 PSI for more traction in soggy terrain, I would greatly increase my tire patch but also greatly increase the rolling resistance and efficiency of the tires, thereby greatly decreasing my range. So, all that to be said, the range estimate here is just that, an estimate. 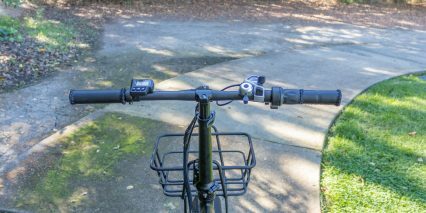 :) The display on the Rebel can’t be angled or removed without tools, so it can’t easily be angled to avoid glare or removed when parking this bike at a public bike rack, leaving the screen vulnerable to be scratched by other bikes. Still, I didn’t have an issue seeing this display clearly even in direct sunlight. There are no lights on the Rebel, and no USB Type A port on the display or the battery, so any aftermarket lights will need to have independent power supplies. 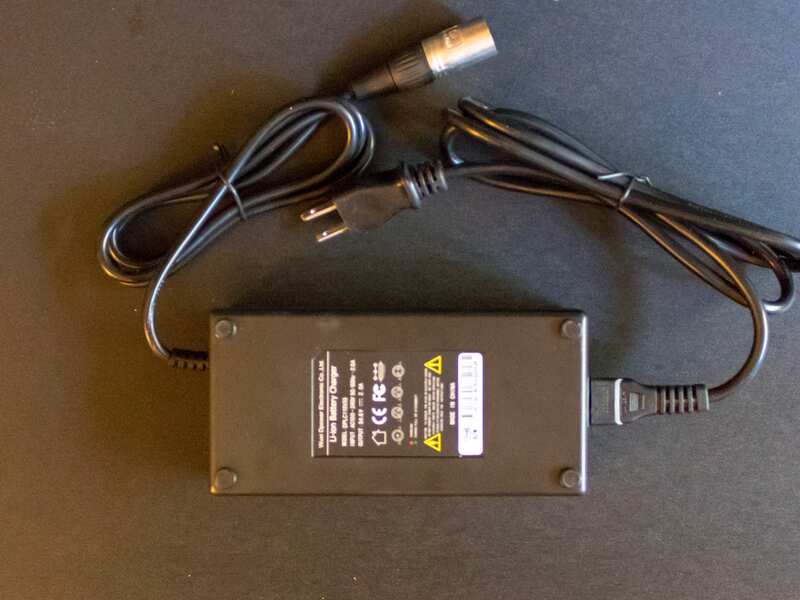 The charger for the Rebel is a standard 2 amp output charger and I estimate it will take about 5 hours to fully charge. 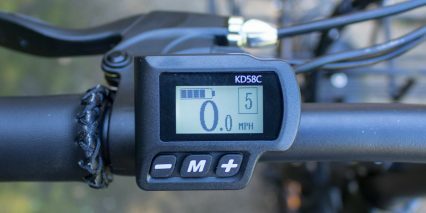 Powering the Rebel up requires a long press of the M button on the display. The display goes through a quick bootup sequence and then comes to life. As I mentioned earlier, the throttle here is live at 0 mph and also as soon as the bike is turned on (it always reverts to pedal assist level 1 upon bootup). This is a wonderful feature as it allows me to bypass the lag from the cadence sensor and immediately unleash full power to quickly get across crosswalks, start at the bottom of the hill while in a high gear and most importantly to me, it allows me to assist the bike up stairs, which makes a huge difference when it weighs 60 pounds! The other side of this coin though, is that a live throttle at 0 mph makes an accidental activation rather easy. In fact, this happened to me literally yesterday as I was moving the Predator (which also has a live throttle at 0 mph) up some stairs. Once I reached the top of the stairs I was in an awkward position and my weight was on the handlebars. I activated the throttle accidentally and got dragged right into the side of my car (thankfully it wasn’t somebody else’s car!). No injuries or anything, or even any damage to my car, but the point is, please be careful with this because it can definitely happen! Speaking of no lights and safety, since the Rebel doesn’t come with lights (and they’re not available in the accessories section from CIVI BIKES) it might be a good idea to grab something aftermarket if you’re like me and enjoy sunset rides. This will be especially important for the matte black color, which already has limited visibility in low light conditions. Overall, the Rebel offers a fair degree of utility in a relatively compact package. The mid-stem frame design is approachable, and the folding joint isn’t super wide so your knees shouldn’t bonk too much when pedaling (but still be careful). There’s no rated weight limit for the front basket or rear cargo rack, but they do feel quite secure and have several attachment points to the frame. 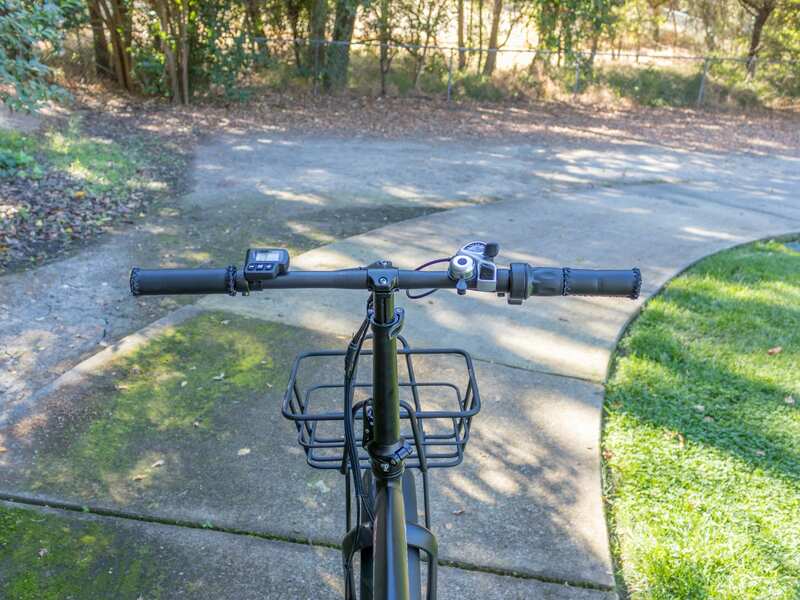 However, one thing to note about the basket is that since it’s mounted to the forks, any weight that is added to it will become pronounced while steering, and any cargo inside the basket will also sway whenever the handlebars are turned. I like how easily the Rebel folds and especially like the safety mechanism on the folding latch, which really does a good job of keeping the frame locked even if the latch becomes partially loose. The gusset on the top tube (top of the frame?) also doubles as a handle and makes it easy to pick up and carry the Rebel if needed, though that 60 pounds still gets heavy fast. 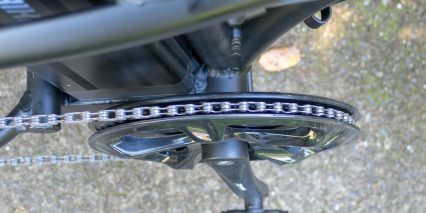 There’s also a series of grooves beneath the saddle which serve as another grab point when moving the bike, a small feature that I really like. 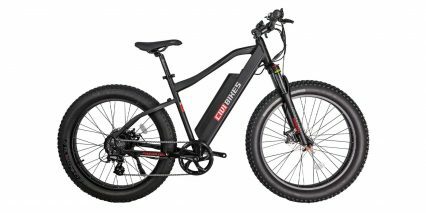 The fat tires along with the front basket and rear rack means this ebike would do well for folks who like to camp and travel with RVs. 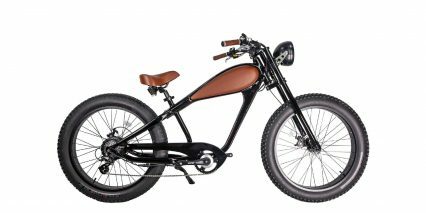 This bike could easily be folded up and stowed in a RV storage compartment, or even just thrown in the back seat of a car, and then quickly unfolded and be ready to ride through some moderate off-road trails. 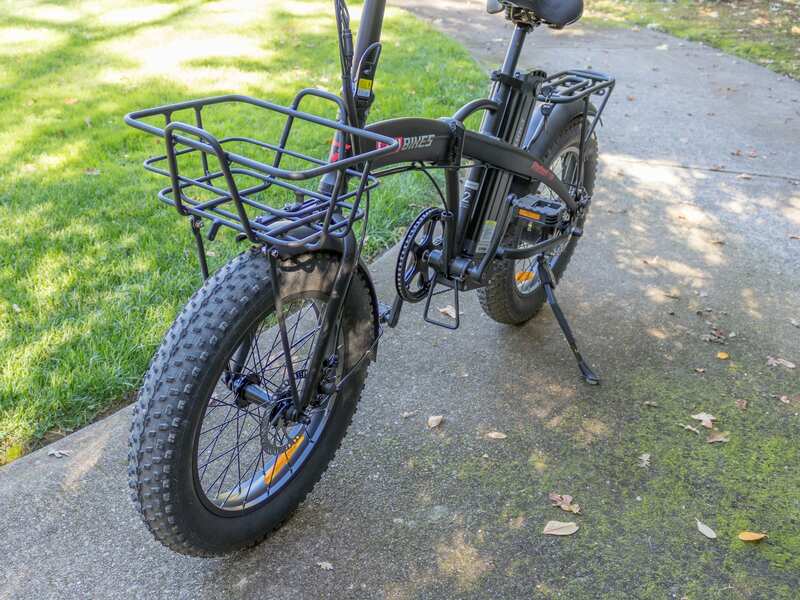 If you are folding and transporting a lot, consider using a towel between the frame and around the racks and fenders to keep them from getting scratched up… I usually take the battery out before lifting ebikes, just to reduce the potential for a hurt back. Although the one frame size is limiting, the telescoping stem and the fully droppable saddle does help to compensate for that. Assembling the bike itself was quick and easy, though I did struggle a bit to install the fenders, front basket and especially the rear rack. 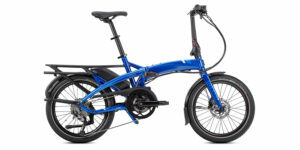 If you’re looking for a folding electric bike that can carry some cargo and be used in the city and on some mild off-road trails but that doesn’t make you feel like you’re riding a circus bike with super tiny wheels and a small frame, the Rebel feels like it would be a good fit. 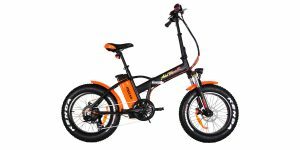 I want to thank CIVI BIKES for partnering with me on this review and if you have any questions or comments, please feel free to leave them here in the comments section of the YouTube review and Court and I will do our best to answer them, you can also connect directly in our CIVI BIKES forums. Thank you for stopping by and I hope you have an awesome day, and of course if you’re going out to ride, have fun and ride safe!